Do I want Mac OS or Windows 10? 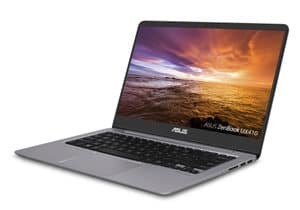 Should I pick a Chromebook for my college laptop? Paper notebooks and mechanical pencils are a thing of the past in education settings. These days, a computer is an absolute necessity for both note taking and using school software. 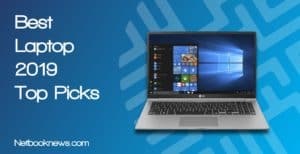 Not sure what specs you need and how much money you really need to spend on a computer? Below we cover eight different picks for the best college laptop, no matter what topics you are studying. There are three key elements to keep in mind when buying a college laptop before you even look at hardware specs — weight, portability, and noise. You will be carrying your computer from home to car to classes, so you want something that isn’t heavy and unwieldy. If you intend to use your device during class, looking for options with a quiet fan is also a plus (especially for your fellow students). Durability and comfort are two features often overlooked in favor of high end specs. Don’t make that mistake! You want a comfortable keyboard design for typing lengthy papers, and spending a little more in exchange for a longer product life span is always a smart move. Do you want a computer that will more than meet the needs of the average student but spend less than $400? This should be your pick! 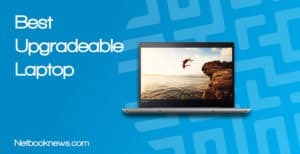 Right now, Lenovo has got some amazing deals on budget notebooks. If you need decent specs but can’t spend a lot of cash, this should be your first option. Obviously, this is not a top-of-the-line machine. But for the price range, you can’t expect to get better specs than with the Lenovo. 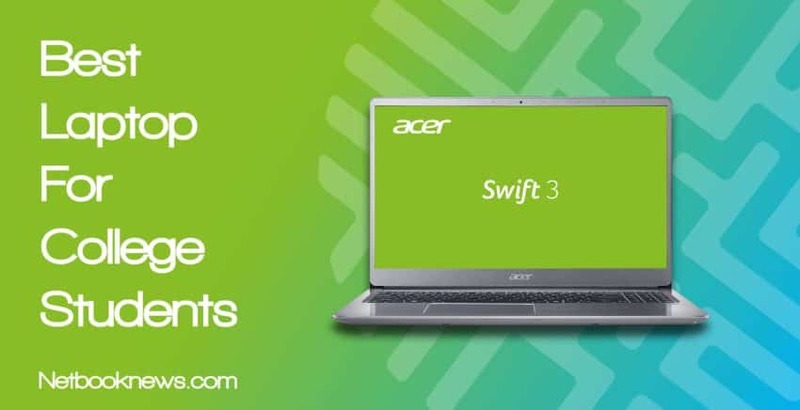 With 8GB of RAM, a full 1 TB hard drive, and an optical drive, you aren’t lacking in performance or features. There’s plenty of room for storing school projects and you will be able to run most programs without any problems. While it may not be a skinny ultrabook, this is still a highly portable computer for taking to and from the dorm. It remains under five pounds and less than an inch thick. To get the most speed out of this device, make sure to uninstall all the bloatware and turn off the auto-starting programs installed by Lenovo. There’s one other issue to be aware of that is often mentioned by buyers — the battery life is quite short. You won’t get a full 8 hour day out of it, so make sure to find a seat by the power outlet! 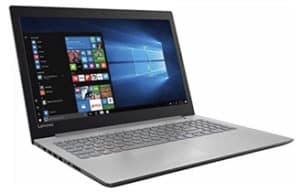 If you need to go even lower on the price, the IdeaPad 330 is often available for around $250. You only get 4GB of RAM and a 500GB HDD, however, so you essentially halve the specs. Are you a staunch Apple fan and don’t care to go with a Windows 10 device? This should be your pick as the best college laptop! Windows isn’t always the best option for students, especially if you are concerned about malware or long Microsoft updates eating up your day. 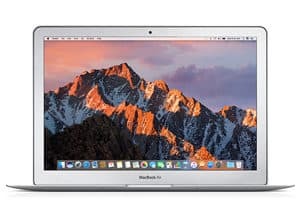 If you’d like to give the Mac OS a shot, the MacBook Air is the way to go. Its lightweight, has super fast operation, and doesn’t lack in extra features like keyboard backlighting. 256GB isn’t a huge storage capacity, but with a Mac device you will often be storing data in the cloud anyway. If you need physical media storage, you get USB ports, Thunderbolt, and a card reader for connecting devices. In general, buyers leave overwhelmingly positive reviews of this model, especially if you need the Adobe suite for photography classes. There’s only one issue that is frequently cited as a downside. Unfortunately, this MacBook isn’t one of Apple’s iconic “retina” style displays. If you want extreme screen resolution you’ll need to bump up the price with a different model. Want to run new games on high settings but still have plenty of storage space for saving school projects? 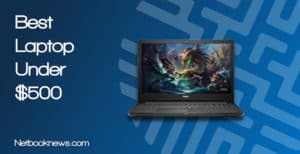 This should be your pick for the best laptop for students who also play games! Everyone needs a computer for school work, but you may want a device that’s capable of more than just reading PDFs and sending emails. When you need to dominate at Fortnite or PUBG on the weekends as well, this is your machine. 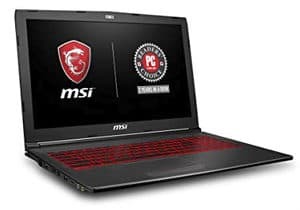 MSI’s offering in our list of contenders is reasonably priced for a gaming rig, which is a huge plus for college students on a budget. The Ti edition of the GTX 1050 card is usually more than powerful enough to handle most games at high settings. If you prefer to go more cutting edge and have the money to spend, look for an upgraded model with the 1060 – 1070 instead. There are a couple of issues that are going to be present with any gaming machine to be aware of before buying. First up, they are going to be heavier since they have to cram in more components. This MSI model is still under five pounds though, so it remains on par with a standard work style laptop. The battery life is also going to be shorter, and the machine will tend to run hotter. Those are just issues you have to put up with if you want to do any serious gaming in addition to school work. Some gaming features work out well for school settings, however. The red backlit keys in particular are more useful for college students than you’d expect. When you’re working on projects late at night and don’t want to leave the lights on, this is a life saving feature. Need high end specs for compiling code and putting together large programming projects? This should be your pick for the best computer science laptop if you don’t mind losing out on the 10 key. Compiling and debugging programs are often taxing on a computer’s hardware. When looking for a great laptop for programming, you want the best processor you can find. Besides an 8th gen processor, 8 – 16GB of RAM, and some kind of dedicated graphics card are your baseline features here for programming. A solid state drive will also be helpful since you will be dealing with large files that take longer to load. Unless you are programming Android apps, a touch screen isn’t usually as important for programming. A good screen resolution and a comfortable keyboard are critical, however. That’s the one downside often mentioned by reviewers – since this is a thinner ultrabook, you don’t get the full 10 key keyboard. If you use the number pad frequently while coding, you may want an external keyboard or to find a larger laptop. Keep in mind this machine is meant primarily for programming Windows software. If you are working on iOS apps or Linux programs, obviously you will need to go elsewhere. Need something portable that will last for a full day of classes? This should be your pick for the best college laptop! While plenty of your classes for nursing are in a standard classroom setting, much of your training will involve being on your feet and on the go. 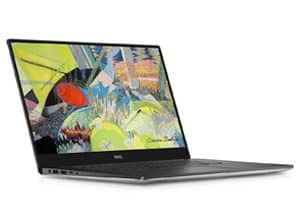 A lightweight device that can handle multiple types of projects should be what you aim for in a perfect college laptop. Generally nursing students won’t need a dedicated graphics card, but you do want portability and durability. A battery that’s going to last all day is a huge plus too, as you may not have time to plug in anywhere. 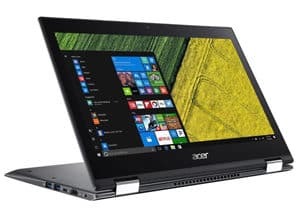 You get all of that with the Acer Spin, which weighs just over three pounds and can flip around in multiple configurations. If you need more than 256GB of storage space though, be sure to invest in an external USB drive. Although it checks all the boxes for a college laptop, there is one issue many buyers mention that you should know about. The fan on this unit is fairly loud for such a small notebook. 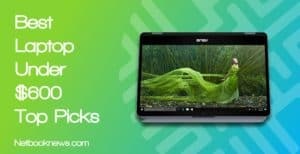 Want a Chromebook instead of a Windows 10 machine? Try out the Asus Chromebook Flip, which is a bit less expensive but has a very similar style. Want a 2-in-1 device for freehanding designs but still get absolutely top-notch specs? This should be your pick for the best laptop! CAD software will eat up your computer’s memory, so you want a ton of RAM for architecture classes. Bottom line, just simply don’t settle for anything less than 16GB. You also want portability, but still need a good screen size. The Surface Book gives you a little of both there, which makes it a great hybrid option. Most lightweight devices drop down to 13 inches, and that makes viewing architectural design software more of a chore. With the Surface Book, you still get a full 15 inch screen. The really crazy thing here is that you get a high end graphics card in a thin, 2-in-1 machine with high battery life. Those features don’t normally all go hand in hand, but they are perfect for engineering and architecture projects. The Surface Book gives you lots of options for freehand drawing designs with a pen. If you don’t tend to use that style, a high end gaming machine without a touch screen may actually be one of your best choices. One main complaint is often brought up by students who bought this model. You are slightly more limited in the number and types of ports than with other laptops. Most importantly, there’s no HDMI port here for connecting to an external display. If you need that feature, you will have to invest in an adapter or look for a different model altogether. 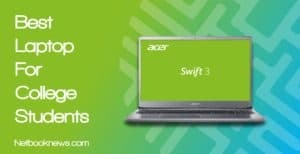 Looking for a high end machine that will last a full day of classes and run any programs without slowing down? This should be your pick! 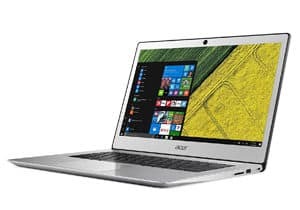 For business students, you typically want a device in the mid-range with a great processor and a decent amount of RAM. A dedicated graphics card or 2-in-1 touch functionality won’t usually be as important. In terms of overall utility, durable design, and lightweight construction, this Asus model ticks all the right boxes. Business students will often be using spreadsheets and word documents. If you prefer the actual full version of Microsoft Office over third party tools, keep in mind this model has Office bundles available. One issue brought up by reviewers involves how super portable devices of this nature are designed. The keyboard is slightly rearranged to be more compact than with a larger laptop. That means the power button is in the top-right corner near the backspace key. You may need time to get used to this design if you type quickly and accidentally hit the power button! Need the best screen resolution and top-notch specs for graphic design programs? This should be your pick! Graphic design students can have hugely varying needs in terms of hardware specs. There are a few key components to keep in mind for any student, however. First off, you probably want a touch screen for free handing designs, and you definitely want a high quality display. You can also expect to frequently have multiple windows open with memory-devouring graphics applications. That means plenty of RAM is also a critical feature not to be overlooked. Saving multiple versions of large image files also means you need lots of storage space. You don’t want to skimp by going with the older and slower hard disk drives, so pick an SSD instead. Although the initial price tag is quite high, this Dell model hits all those key features. There’s only one issue that is often criticized by buyers you may need to consider. The webcam is at the bottom of the screen rather than at the top. Unfortunately, that makes for an awkward angle when video chatting. If your course load doesn’t require a dedicated graphics card, or you find yourself using a stylus more often than the touchpad, then the Lenovo Yoga 920 can also be a great option. At this point in time, the OS you choose is really more of a personal preference issue. Most programs are available in a multitude of OS options, and there are emulators for running tools in other operating systems. There are a few exceptions to that general rule, however. Windows computers tend to be available with higher end specs, especially in terms of graphics cards and processor speed. If you need a device that can run newer games as well, Windows is often the better choice. For programming students who focus on designing iOS apps, an Apple device is usually a better option instead. The Mac OS also has some very high end photo, video, and music editing tools that aren’t always available in Windows. Before picking your laptop, take a look at your course load and check to see if any specific programs are going to be used more often. Going with a Chromebook can be an excellent way to both save money and get a lighter, more portable laptop. There are big downsides to consider, though. While you can download Android apps with Chromebooks now, you still can’t install Windows programs. In many cases, that may not matter. If your courses don’t use any high end software, there’s no reason to shell out the extra cash. If you just need to type up docs, send emails, and look up information online, then a Chromebook is a perfectly viable option. On the other hand, if your classes involve using specific software, a Chromebook just isn’t going to cut it. Keep in mind they also have very small storage capacities, so there isn’t much room for saving projects on a Chromebook. You will instead need to keep your data stored in the cloud, or buy an external hard drive. One big issue to keep in mind for a school laptop is longevity. 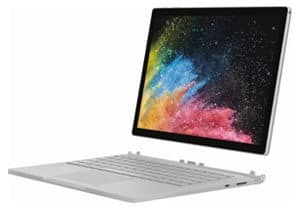 Whether you are attending a two year tech school, getting a four year degree, or even going beyond that, you want a computer that will last. Budget laptops may be necessary when you factor in the costs of tuition and books, but they aren’t good long term options. Cheaper laptops don’t often feature high build quality, and you can expect them to go out within two to three years. When possible, try to actually physically handle a laptop before making your final decision. The weight of a device may have a big impact on how well it works for you when carrying between classes. Keyboard designs also fluctuate considerably between models. You don’t want a keyboard that’s super cramped if you will be typing notes all day. No matter what your major or how long you have left in your education, one of these notebooks should perfect meet your needs. What did you think of our roundup of the best laptop for college? Sound off in the comments section below, and hit us up if you’ve seen any great school laptops that we missed out on!